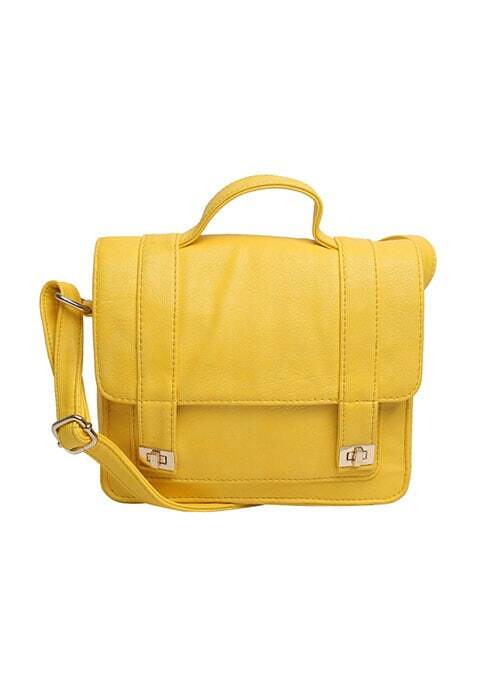 Fall hard for the color of the season with this bright yellow mini satchel. Features dual gold tone twist clasp closures and a top handle. Work It - On fleek with a breezy white skater dress.